The doors are made of oven-dry wood, with 8-10% moisture content. The thickness of the door is 36 mm. Wooden wedges are fastened horizontally to the door, to prevent its deformation. The door leaf is supplied with a frame, hermetically packed in polyethylene film. This allows its transportation and storage without damages and the influence of weather conditions. 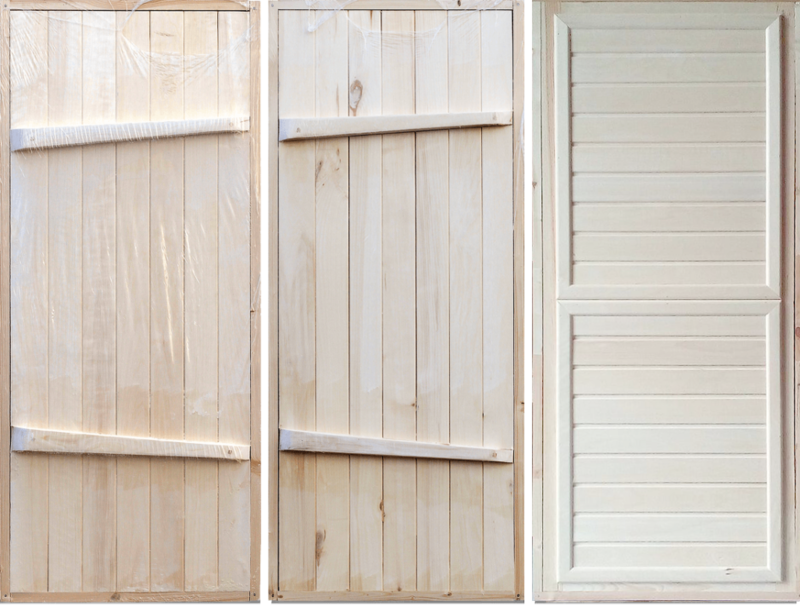 D/B soft wood 18х8 (1770х770х70) 1750 rub. D/B aspen wood (with knots) 18х8 (1770х770х70) 2110 rub. D/B aspen wood (without knots) 18х8 (1770х770х70) 2760 rub. D/B lining 18х8 (1770х770х70) 2000 rub.